Washington, D.C. — More pastors than ever say they are expected to respond to domestic and sexual violence but report having little or no training to do so. This is one of the primary findings of a new report, Broken Silence 2.0: an update on pastors’ attitudes and actions around domestic and sexual violence in the #MeToo era. IMA World Health and Sojourners released the report Sept. 13, 2018, on behalf of the We Will Speak Out U.S. coalition during a plenary at the Religion News Association’s 2018 Conference. The new report explores how perceptions of gender-based violence have evolved among Protestant pastors in the U.S. since the original Broken Silence report was released in 2014, particularly in light of the #MeToo and #churchtoo movements. The phone survey of 1,000 Protestant pastors was conducted June 19 – July 2, 2018, and was based on the same methodology as the 2014 survey. Both surveys were conducted by LifeWay Research. Overall, pastors are more aware of the issues. More pastors are seeing domestic or sexual violence as a problem in their community, say they are trained, see its impact, and are aware resources are available to help (up 35 percent from 2014 to 91 percent today). Most pastors (81 percent) surveyed in this update reported being confronted with some sort of abusive situation requiring their attention: a staff member, a parishioner, a community member or others. Additionally, more pastors than ever before (95 percent) have reported they are familiar with resources locally available to which they can refer a parishioner struggling with abusive situations. Yet, half the pastors surveyed report receiving little or no formal training to be able to respond to abuse effectively. When it comes to response, more pastors are saying they have taken action than in 2014. Referrals to service agencies are the most common response to dealing with domestic and sexual violence (81 percent) and have increased since 2014 (70 percent). Additionally, more pastors have conducted safety risk assessments than in 2014 (40 percent v. 31 percent). Yet this survey revealed that more pastors today (70 percent) have also provided marriage counseling when dealing with domestic and sexual violence situations compared to 2014 (62 percent). The National Domestic Violence Hotline does not recommend couples counseling in the context of an abusive relationship. Therefore, because of their lack of training, pastors may be putting those suffering from violence even more at risk, unintentionally doing more harm than good. 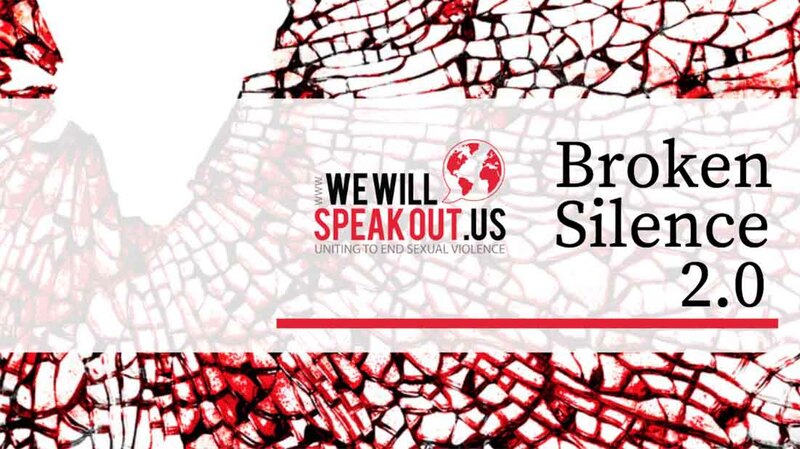 View the Broken Silence reports at wewillspeakout.us/broken-silence/. IMA World Health, the secretariat and host of We Will Speak Out, is a faith-based public health and development organization. IMA’s mission is to build healthier communities by collaborating with key partners to serve vulnerable people. www.imaworldhealth.org. Sojourners is a national Christian organization committed to faith in action for social justice. The organization seeks to inspire hope and build a movement to transform individuals, communities, the church, and the world. With a 40-year history, Sojourners is a nonpartisan leader that convenes, builds alliances among, and mobilizes people of faith, focusing on racial and social justice, life and peace, and environmental stewardship. www.sojo.net. We Will Speak Out U.S. is a coalition of diverse faith groups and organizations from across the United States joining together with other leaders for action and advocacy to end sexual and gender-based violence. www.wewillspeakout.us.